The city would play host to 32nd ISTA Congress from June 26 to July 3 next year, in which more than 800 delegates from across the world are expected to participate. HYDERABAD: Hyderabad and its surroundings are home to almost 400 of the about 500 public and private sector seed companies in the country. The city meets almost 60 per cent of the country’s seed requirement, including more than 90 percent of the requirement of rice seeds. 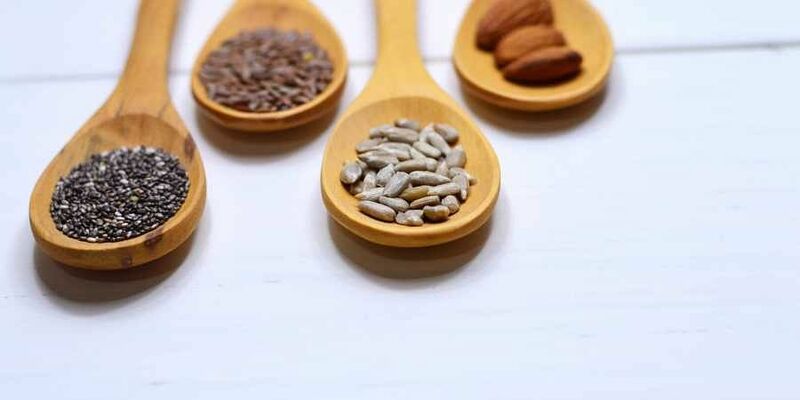 With the city being the seed bowl of India, it should not come as a surprise that when International Seed Testing Association (ISTA) has decided to conduct its first-ever conference outside the western hemisphere in Asia, it chose Hyderabad as the venue. The city would play host to 32nd ISTA Congress from June 26 to July 3 next year, in which more than 800 delegates from across the world are expected to participate. These delegates will include representatives of seed companies, agricultural scientists, policy experts and representatives of agricultural academic institutions. State chief secretary SK Joshi on Thursday unveiled the logo and publicity material. Agriculture commissioner Rahul Bojja and ICRISAT director-general Peter Carberry and others were present. 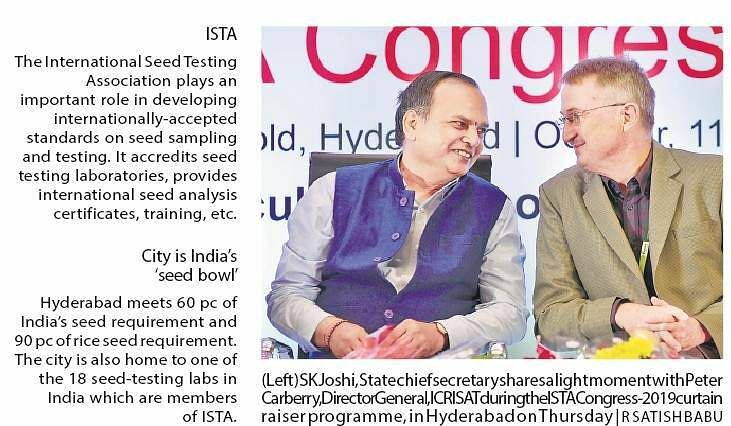 State agriculture principal secretary C Parthasarathi, speaking at the curtain raiser event for the conference held in the city on Thursday informed that Hyderabad is home to one of the 18 seed-testing laboratories in the country which are members of the ISTA. He also said that an upcoming seed testing lab in Rajendranagar is working towards seeking the accreditation from ISTA and become the seventh ISTA-accredited seed testing lab in the country. He also said that the state would be exporting 26,000 tonnes of seeds to member-countries of Organisation for Economic Cooperation and Development (OECD) this year. Last year it had exported 17,000 tonnes of seeds. Parthasarathi said that a lot of lobbying at different levels, from the central government to international research organisations, seed companies and seed testing companies ensured that Hyderabad was the first choice in Asia for the conference. According to him, Telangana is the seed bowl of the country not just because of the volume of seeds it supplies in the country but also because the state, with its dry climate, is best suited for storage of seeds. ISTA plays an important role in developing internationally-accepted standards on seed sampling and testing. It accredits seed testing laboratories, provides international seed analysis certificates, training, etc.